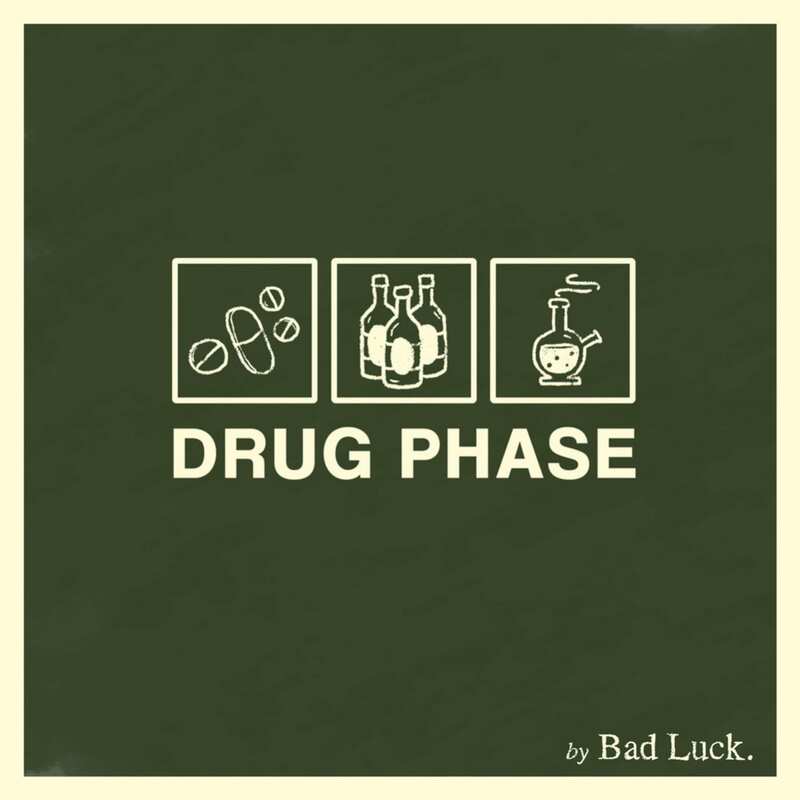 Bad Luck.’s new EP, Drug Phase, is the perfect vessel for launching a comeback. Bad Luck. continues to tick all the right boxes: fast tempos, aggressive guitar work, pop-influenced melodies and clever lyrics. The solo-project-turned-band cranked out a couple promising releases in 2014 and 2015, then went quiet until last year, when they announced signing with Take This To Heart Records. Fortune seems to be favoring Bad Luck. as they enter this new phase of their career. Bad Luck. leads with “Impressive Depressive,” in which they channel some serious My Chemical Romance vibes with their dark lyrics and edgy riffs. The mood lightens up in the next track, “Mean Dudes.” The uptempo bubblegum-pop serves as a perfect contrast to lyrics, oozing with sarcasm and disdain. The title track “Drug Phrase” has more bite to it. The gritty, grungy song is a brutally honest reflection on a dark time: Used to say I’m okay/ I could try a bit/ Just for the hell of it. The EP switches gears again with “Sheep Song.” Even though the lyrics are about herd mentality and blindly following along, it’s a challenge not to sing along to the “ba ba ba ba” chorus. This is followed by “Wish We Still Talked.” Abrasive vocals belt out raw emotional lyrics riddled with regret. The layered vocals are reminiscent of Taking Back Sunday. 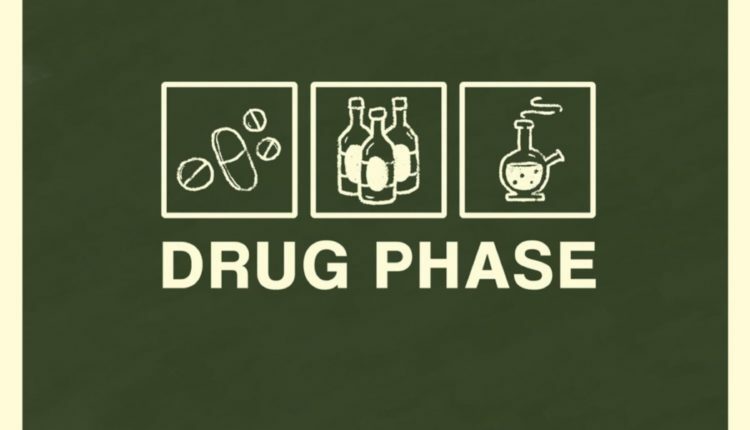 Drug Phase ends with a track called “P.S. Wiffle Ball.” The jangly tune on acoustic guitar is accompanied by whistling and a sing-song melody. The simplicity of this track evokes nostalgia for youthful ignorance and bliss. The collection creates a story arc that follows the rise, fall and rebirth of the jaded-yet-relatable protagonist. But unlike most concept-based albums, each of the songs can stand on their own and still make sense. There’s no filler or transitional tracks. The music is compactly arranged – tight, well-paced and cohesive. All music and lyrics were written by vocalist/guitarist Dominick Fox. His brother Joseph Fox plays bass. The band is rounded out with Charlie Caruso on lead guitar and Michael Sichel on drums. Drug Phase was engineered, produced and mixed by Jim Wirt at Crushtone Studios, and mastered by John Naclerio at Nada Studios. Drug Phase is out now on Take This To Heart Records. 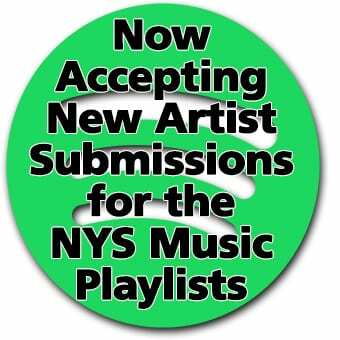 Purchase merch and music directly or buy/stream on your favorite major music platforms. Bad Luck. celebrates the release with a four-date Northeast tour that started in Boston last night, and hits Albany today, Brooklyn on March 30 and Philly on March 31. They’re also slated to play BLED FEST in May. Follow them on Facebook, Instagram, and Twitter for updates.